In 1874, American songwriter Henry Clay Work found himself, during a trip to England, in the lobby of the George Hotel in Piercebridge, a quaint market town in the northeast part of the country. Casting his eye around the room, Work noticed what was at that time called a longcase clock (in England), or tall clock (in America). 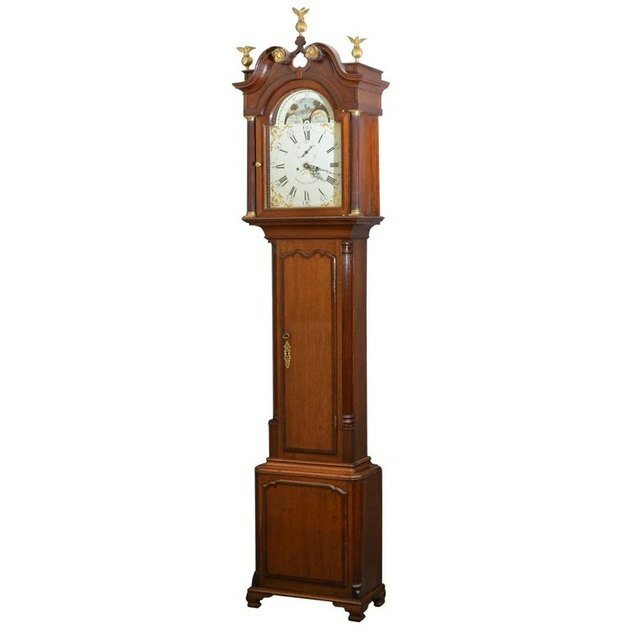 Invented in the late 1600s, the longcase clock uses a longer pendulum (hence the original name) that allows for slower movement — that means the clock needs to be wound less often, which means it's both more accurate and longer-lasting. The longcase clock in the George Hotel's lobby was especially lovely, according to Work, so he asked about it. The story he heard was one about a clock owned by two brothers. The clock kept exceptionally good time — until one of the brothers died. It required increasingly more maintenance and rewinding, and when the second brother died, the clock stopped working entirely. 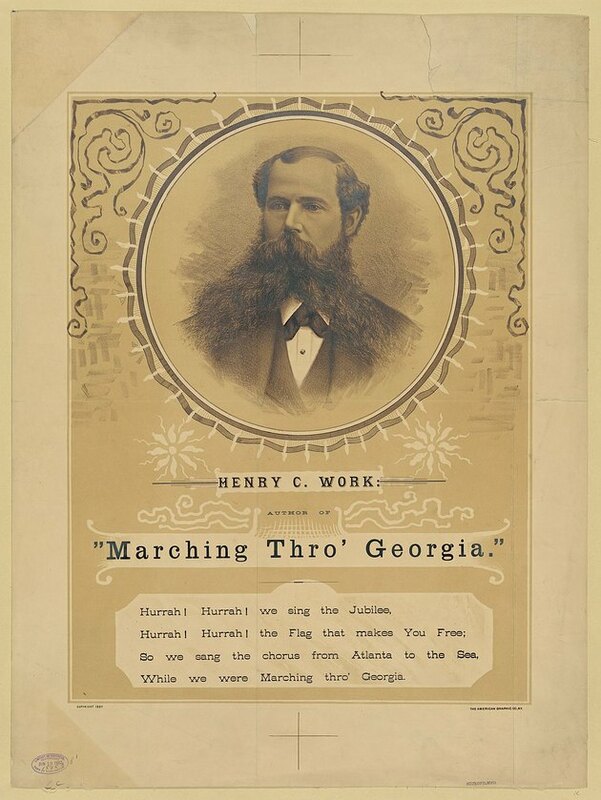 Released in 1876, two years after Work's visit to England, the song became a monster hit, and Work sold more than a million copies of the sheet music. He tried to recapture the magic a few years later with a follow-up version in which the grandfather's clock, long dispatched to the scrapyard, is replaced by a wall clock, but it didn't have the same impact as the original. 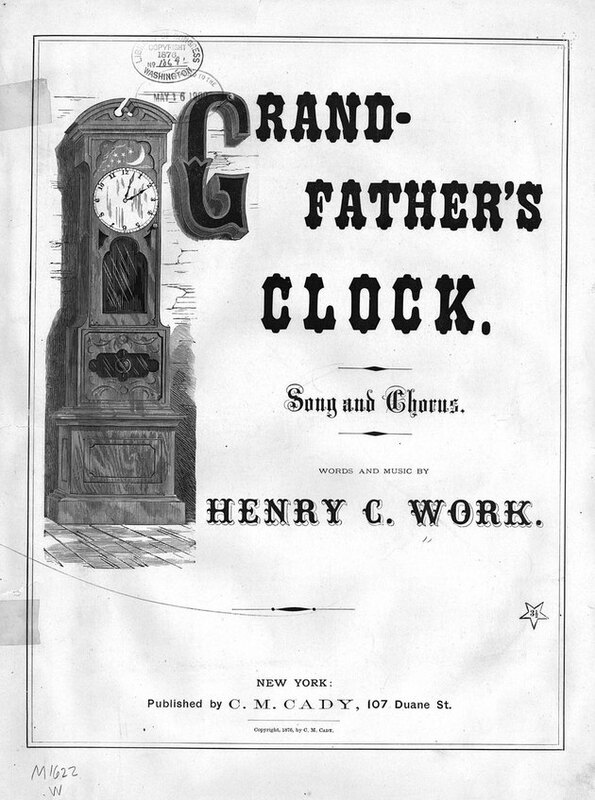 Since the song's debut, "Grandfather's Clock" has been covered by countless artists — it was a staple of early children's television shows in England, appeared on a Bing Crosby record, and was brought back to life by Boyz II Men in 2004. The fact that it's kind of a spooky song means it inspired an episode of the original Twilight Zone and is featured regularly in video games where scary stuff happens. It's also not just about grandfathers — smaller versions of pendulum clocks are often referred to as "grandmother clocks" or "granddaughter clocks." But unfortunately for Work's narrator, a "grandson clock" never really caught on. Angela Serratore is a writer and historian whose work has appeared in the New York Times Magazine, Curbed, Lapham's Quarterly, Smithsonian Magazine, Buzzfeed, the Cut, and more.